Zimbabwe's Tourism and Hospitality Minister Engineer Walter Mzembi launches his Ministry's new marketing strategy "Zimbabwe: A World of Wonders" at Zimbabwe House on Wednesday at the Zimbabwe Embassy in London. Zimbabwe’s Tourism and Hospitality Minister Engineer Walter Mzembi launched an ambitious campaign to woo British and western tourists back to the country, saying that tourism should remain as the key bridge maintaining people to people contact even when governments fall out. Earlier in the day, Mzembi had attended a discussion forum at an influential international affairs thinktank alongside the UK’s Foreign Minister for Africa Henry Bellingham and the UK’s Zimbabwe Ambassador Mark Canning on the question of whether it was now time to promote British tourism to Zimbabwe. “Both gentlemen gave positive reviews on the state of affairs in Zimbabwe, including the economic progress we’ve achieved under the Inclusive Government. 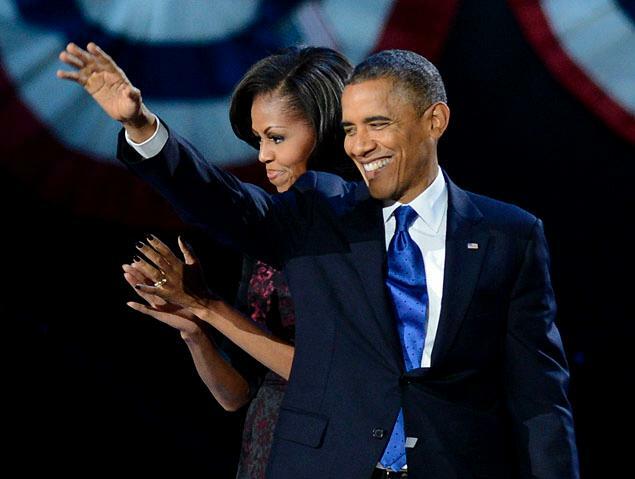 Economically, they acknowledged that we’re looking at upwards of 7-8% economic growth this year. They applauded our engagement with multilateral financial institutions, the International Monetary Fund and the World Bank,” Mzembi said. The UK government representatives also hailed the Zimbabwe government’s economic stabilisation programmes, the shedding of quasi-fiscal activities by the Reserve Bank of Zimbabwe, as well as progress made on social delivery programmes, Mzembi told guests at Zimbabwe House. The positive reviews by the British government mark a thaw in relations between the usually antagonistic countries, and Mzembi was quick to acknowledge this as a sign that the British were now ready to engage constructively with their Zimbabwean counterparts. “They want engagement, there’s no doubt about it. They want to be less critical of Zanu PF and President Mugabe because they cannot endear themselves to (Prime Minister Morgan) Tsvangirai only who is subordinate in the current arrangement to a President in a coalition government,” Mzembi told Newzimbabwe.com in an exclusive interview at Zimbabwe House. Zimbabwean pop duo BKay 'n' Kazz perform at the launch ceremony. The Zanu PF Young Turk inferred that there was now a new thinking in Britain’s Zimbabwe policy following the fall of New Labour in this year’s UK elections which ushered in the Conservatives-Liberal Democrats coalition government. “It is not just me who noticed a difference; even the Chinese government noticed a difference in Prime Minister David Cameron’s approach, which is more constructive, very refreshing and contemporary. I have no doubt in my mind that they find a generational connection with some of us and we must leverage that to advance our own interests,” he added. Mzembi underscored the significance of British tourism to Zimbabwe, saying that if his country could secure just 30% of the 400,000 British visitors to South Africa annually, Zimbabwe would have done tremendously well. “British tourism is important as a signal to other traffic in the world and in Europe – if the British come to Zimbabwe it means others will follow. They have 120 years of colonial investment in the country, which they can’t wish away. We have deep, binding ties, as shown in the common nomenclature of our streets and localities. But nothing illustrates these ties more than the presence of the Zimbabwean Diaspora which is composed mainly of skilled professionals currently serving variously in the British system,” he said. Relations between Zimbabwe and Britain took a drastic turn when Tony Blair’s New Labour party swept to power in a landslide election in May 1997. Pursuing what it called an ‘ethical foreign policy’ with human rights at its core, the New Labour government took umbrage at President Mugabe’s controversial ‘Fast-Track’ land reform programme in which prime farmland was seized from a minority of just over 4,000 white farmers for redistribution to landless blacks. Violence and human rights abuses against perceived opposition supporters in general elections since 2000 also stoked British resentment against the Zanu PF government, leading to the imposition of targeted sanctions by the European Union (EU) against members of President Mugabe’s regime as well as several state-owned companies. Mzembi addressed the EU sanctions saying their removal would help even the playing field between the political players in Zimbabwe and advance relations between the country and the West. He underplayed the prospect of violence erupting around the constitutional referendum and fresh general elections provisionally pencilled for next year. “We have a responsibility to package our own elections in a manner that does not impinge on the national programmes that are currently running. But if we want to play to the international gallery it will obviously take centre stage, unnecessarily so,” he said. However, Prime Minister Morgan Tsvangirai’s MDC party is incensed by Zanu PF’s refusal to honour the powersharing agreement signed between them to establish the current inclusive government. Last month he wrote to the UN and to European governments to complain of a constitutional crisis in Zimbabwe, urging those authorities not to recognise unilateral government appointments made by President Mugabe. 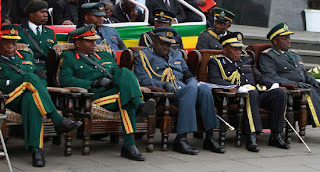 Of late, media reports in Zimbabwe have quoted both senior Zanu PF ministers and military generals suggesting that they would not transfer power to the MDC even if it won next year’s elections, calling it a ‘sell-out’ party. The MDC has also expressed strong reservations with the lethargic pace of security sector reform, and human rights activists have decried the presence of the military in Zimbabwe’s diamond industry, particularly in the newfound Marange diamond fields in eastern Zimbabwe. Mzembi denied that the military threatened the integrity of the electoral process by playing an overtly partisan role in support of Zanu PF, defending their role in national politics as legitimate. “I don’t find anything unique in the military also advancing their own interests in securing national security. They are an intrinsic part of Zanu PF because they’re ex-liberation fighters and a lot of them actually had commissariat roles during the war. So why should they turn their backs on the party when they’re an intrinsic part of it?” he queried. After nearly two years of powersharing, the MDC and Zanu PF look set to part ways after Mugabe and Tsvangirai both expressed readiness to hold fresh elections next year and revert governance of the country to a single democratically elected party. A constitutional reform exercise billed as a precursor to fresh elections ran into controversy amidst allegations of violence after the political parties jostled to control its outcome during the public outreach phase. 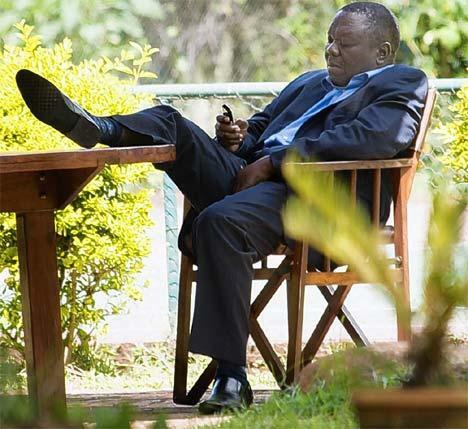 Lately, Tsvangirai has suggested a negotiated draft constitution saying the current process is now marred by illegitimacy. Zimbabwean tourism players exhibiting at the World Travel Market in London this week expressed reservations on the proposal to hold new elections next year citing the high prospects of political violence erupting once more. They feared that the negative international publicity whipped up by the new elections could destabilise the country’s fledgling economic recovery and set the economy reeling backwards yet again.